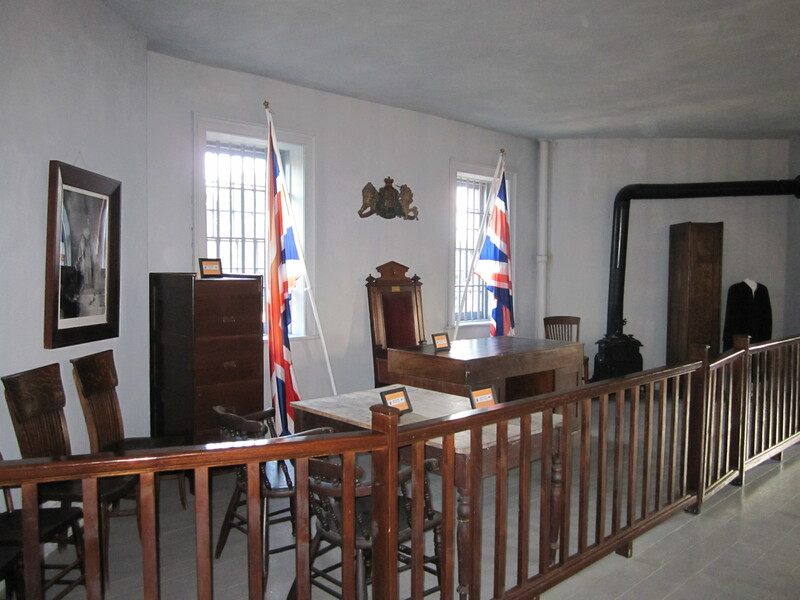 Huron County’s Gaol is a National Historic site. I think this one of the coolest (and relatively unknown) summer events in Huron County! 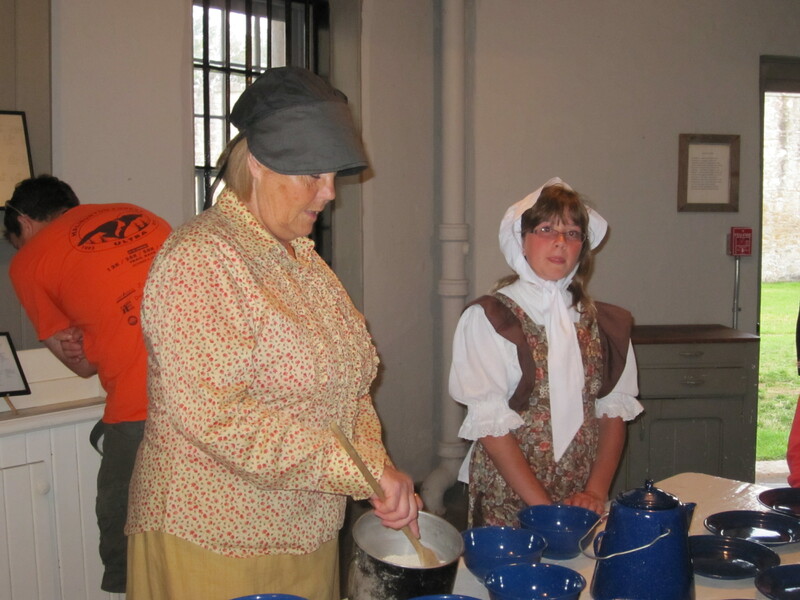 “Behind the Bars” is an interactive tour of the Huron Historic Gaol in Goderich. 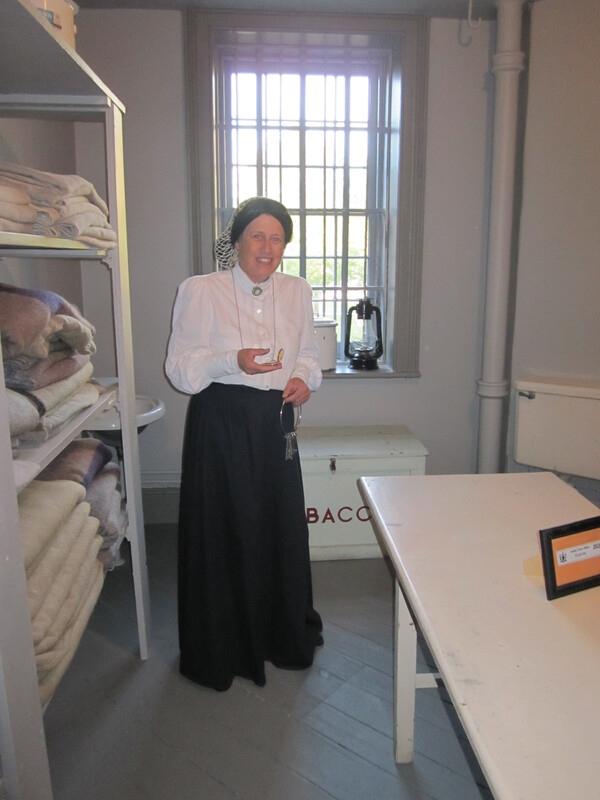 On Tuesday and Thursday evenings from July to August, you can explore the gaol and interact with volunteers who step into the role of late-1800s prisoners. I have to confess that I’m not much of a museum fanatic, but I really enjoyed this as it was interactive and entertaining! 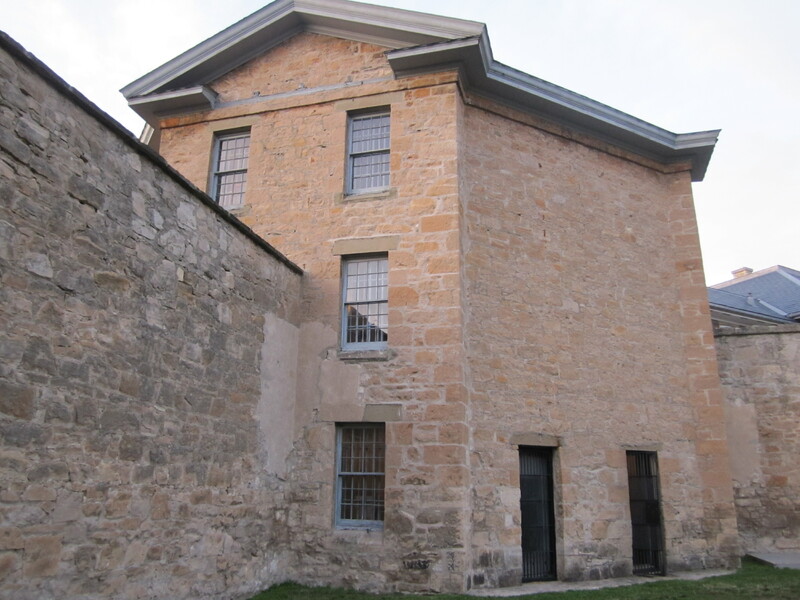 The Huron Historic Gaol served as the County Jail from 1842 to 1972 and now is a designated National Historic Site. One thing I didn’t realize before is that the building housed the County Courts and Council Chambers on the top floor. 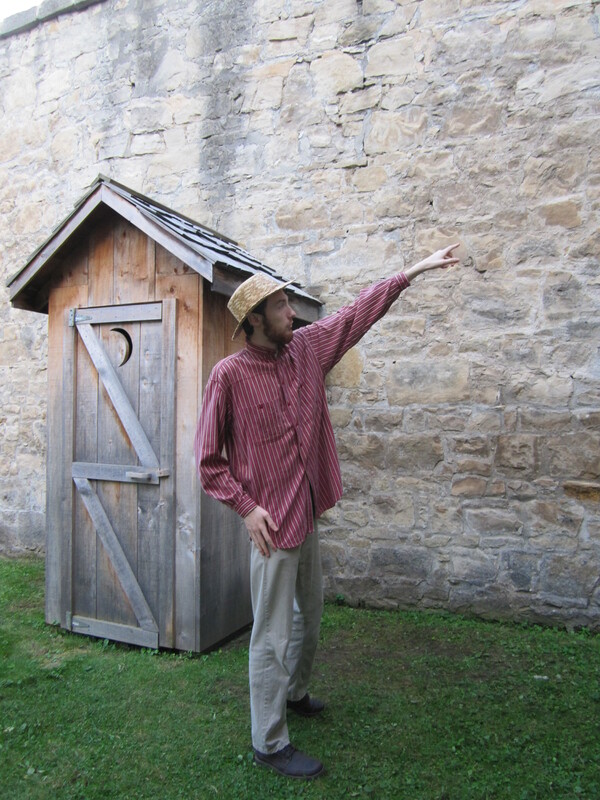 The gaol also held prisoners not only from Huron County, but also from neighbouring Perth and Bruce Counties as well. 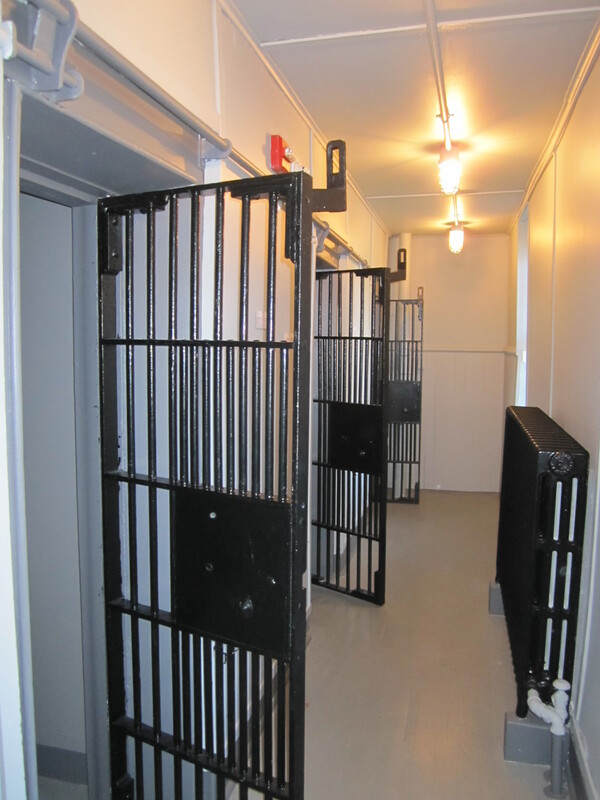 Upon entering the gaol, there is an opportunity to sign the guestbook and state your “crime”. After paying the $10 admission fee, I was greeted by a museum attendant who explained some of the faces of the gaol I might meet. 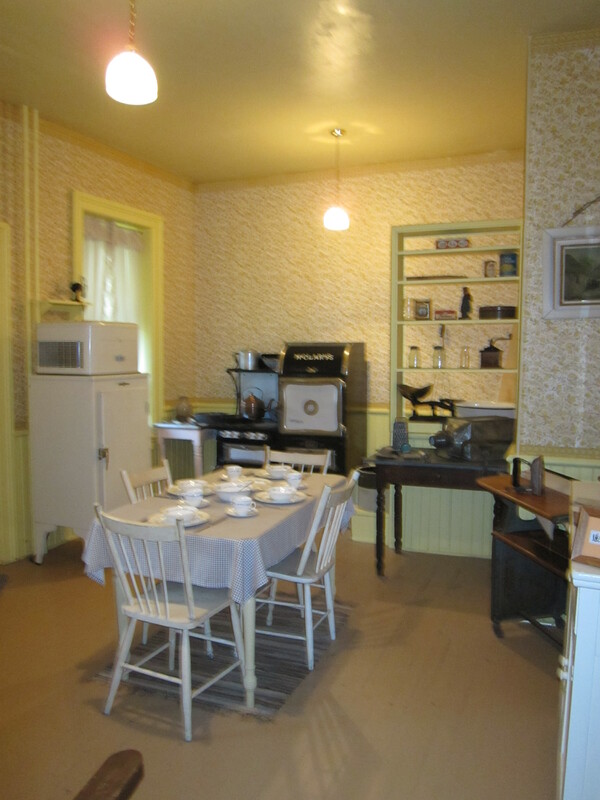 There are three floors to explore, as well as the Governor’s House. The cell blocks, kitchen, laundry room, Gaoler’s apartment, surgeon room, courtroom, and holding rooms/cells are all open for viewing. 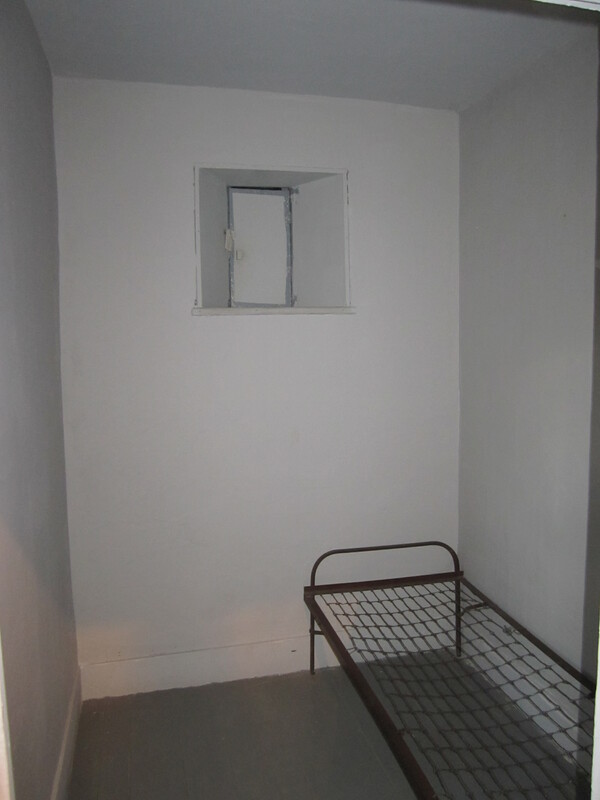 In almost every room there were opportunities to meet and question those who were representing the men, women and children who lived and worked behind the bars. There were also little excerpts on the walls that detailed the background of some of the prisoners. I quickly learned that some prisoners committed serious crimes, and other some very minor offences. I got to meet a young boy, around 13 years old, who was incarcerated for not having a job! Each one of the prisoners did a wonderful job of representing and staying in character. I had a nice chat with the Governor’s daughter about life in the 1800s, and when I explained why I was visiting, she was was quite perplexed about what a “blog” was. Imagine explaining technology to someone growing up in the early 1900s! What is truly amazing is that everything in the building is original to that time period and still works. 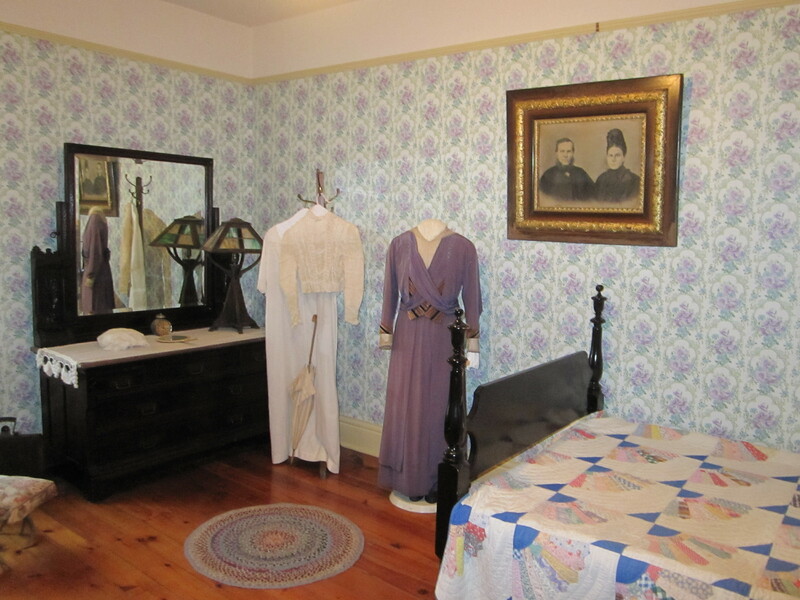 One of the tour guides in the Governor’s House told me that the radiator in the bedroom still works to this day exactly as it did over 100 years ago! As an extra treat, refreshments were served outside on the court yard. It’s recommended that you allow at least 45 minutes for the tour. I easily spent over an hour exploring the building. 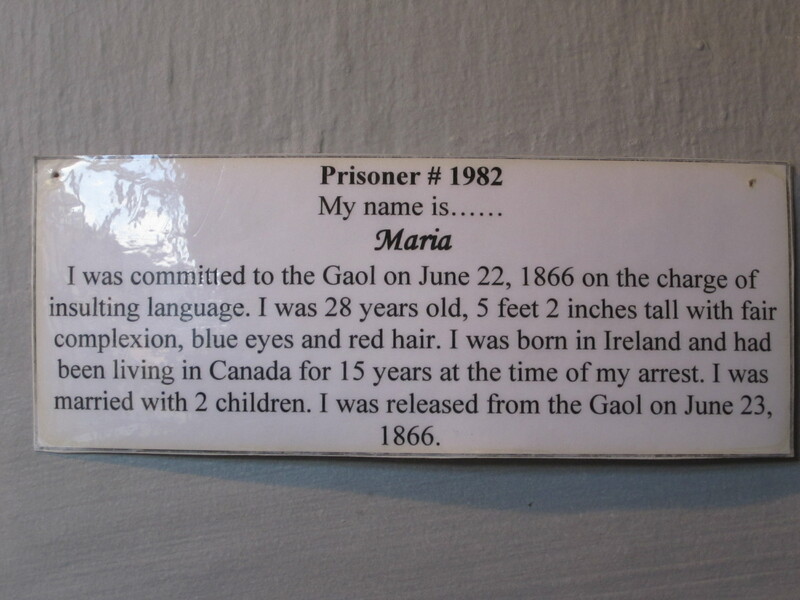 I had never been to the Historic Gaol before so this was a first-time experience for me. The chance to interact with these characters definitely makes this a truly unique attraction, and in my opinion is a great way to spend a summer evening learning about history. Plus, how often can you tell people that you went to jail for a night?